How Far is Poomalai Gopinath Blossom? Welcome to Poomalai Gopinath Blossom, the latest venture of the renowned Poomalai Housing Private Limited. Poomalai Gopinath Blossom, the noted landmark of Chennai is now at Palavakkam. It is known for its sophistication, latest amenities, club house in villas and apartments with class comfort and quality. Its architecture is aesthetically designed to ensure a lifestyles you love to live in. Our well-planned building styles confirms total comforts and strikingly rich ambience. It is a gated community that assures total protection for a peaceful living. 2x2 vitrified title flooring for the entire house. Designer main door and others doors will be flush door. Window will be of UPVC with clear plain glass. Designer Glass doors for tablets. Granite cooking platform fitted with stainless steel sink and drain-board and 2 ft. qlazed tile dado above the cooking platform. Bathrooms with roof high ceramic tiles, Parryware or Hindware brand sanitary ware, Jaquar brand CP fittings and 'ISI' brand plumbing accessories. A/C points in bedrooms and TV points in bedrooms and living room. Provision for telephone points in bedrooms, living and dining room. Since its inception in 1999, constructing homes of the highest quality has been the soul aim of Poomalai Housing. We have come a long way with our successful completion of 52 projects in and around Chennai with a built-up area of 4,80,000 sq.ft. Poomalai housing is in Chennai, Coimbatore, Mumbai and is actively developing projects around the areas with a deep insight in quality and commitment towards work. Poomalai Housing has built its commendable reputation in its steadfast adherence, transparency, consistent on-time delivery, detailed documentation and clear title deeds, which are its core values. Poomalai The Wind is an under-construction project which is one of the most sought residential development located in Kolapakkam, Chennai. The Poomalai Varishtaa a project which is in Medavakkam Chennai, a ready to occupy villa property. Poomalai homes guarantee intelligent investment, with its high-quality construction and warm ambience. Every Poomalai home is customized to suit your needs. Yes! We offer you a choice of selective interior designs! Why live the dream of another, when you can live your own? We are here to help you live your dream! 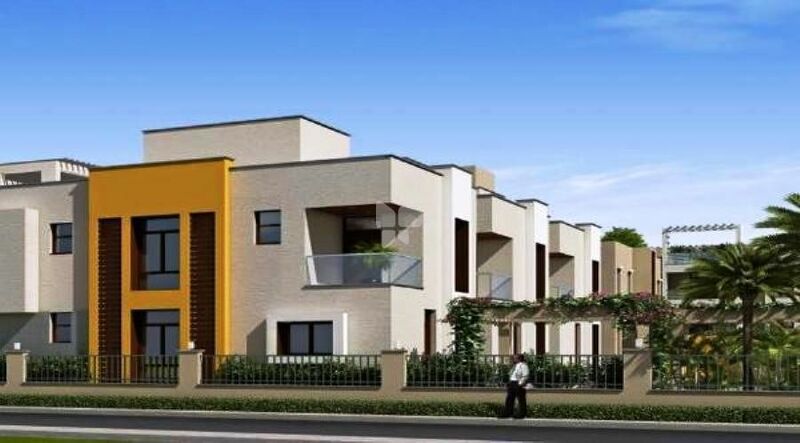 One of the achievements of the builder is The Poomalai Avantikaa located in chromepet which is an under-construction project with 2,3 BHK Apartments. The success story of the builder is quite simple the builder builds each home with an eye and insight as a user and by doing so the builder was able to achieve heights. Quality is the main parameter and we do maintain the quality in their every project. Each Poomalai home offers an ambience and experience totally different from the other. Our customers play a vital part in the design of the interiors of a Poomalai home, which makes it unique.